Throughout your tour, your guide will teach you about the local culture and offer interesting historical insight on the area's Cuban heritage. You’ll also visit the El Credito Cigar Factory and the Freedom Tower, Downtown Miami’s most enduring landmark. This tower was modeled after the Giralda, the famous Gothic-Baroque bell tower of the Cathedral of Seville, and is currently used as a memorial to Cuban immigration in the US. Depending on the pace of your group, your tour will take anywhere from 3 to 4 hours. 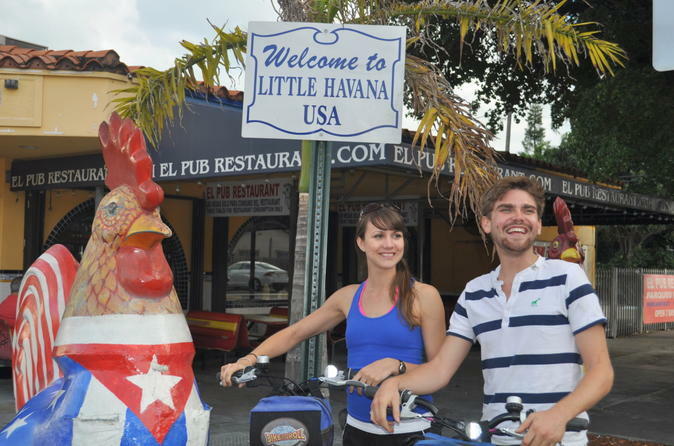 You’ll end your Little Havana bike and food tour back in Miami Beach.